The U.S. Department of Energy has extended a contract for the Savannah River Remediation for an additional 18 months worth an estimated US$750 million in total. Global infrastructure firm AECOM has announced that the U.S. Department of Energy’s (DOE’s) Savannah River Operations Office in Aiken, South Carolina, has extended the current liquid waste management contract with AECOM-led Savannah River Remediation LLC. 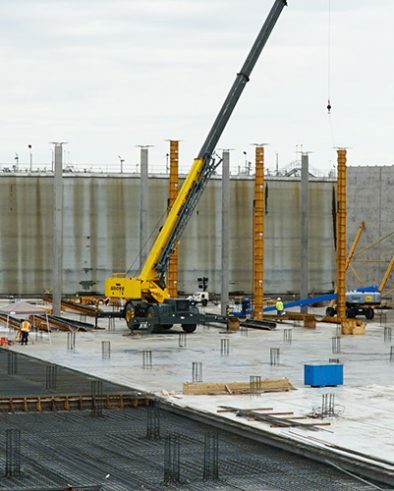 The underground waste tanks at the site have been described as “South Carolina's single greatest environmental risk.” The approximate US$750 million extension will run from April 1, 2019, to September 30, 2020. The value of the contract extension was included in AECOM’s backlog in the second quarter of fiscal 2019. “We are pleased that the DOE has decided to extend Savannah River Remediation’s contract,” said John Vollmer, president of AECOM’s Management Services group. “AECOM has a long history of supporting the DOE at the Savannah River Site and extensive experience in liquid waste disposition. We are committed to safely managing the radioactive waste system at the site while reducing the state of South Carolina’s critical environmental risk.” During the contract extension period, services that the AECOM-led joint venture will perform are operating the Defense Waste Processing Facility and Saltstone Production Facility, and continuing progress on the Tank Closure Cesium Removal demonstration and construction project and the construction of Saltstone Disposal Unit 7. Other companies in the AECOM led joint venture are Bechtel National, CH2M, and BWXT. ETHPE Contracting will rehabilitate the landfill serving Umm Al Quwain – the scope of work includes site preparation, dredging and filling, as well as building a drying bed for industrial wastewater and a landfill cell for hazardous solid waste. The company must complete the project in two years and offer a one-year maintenance warranty.